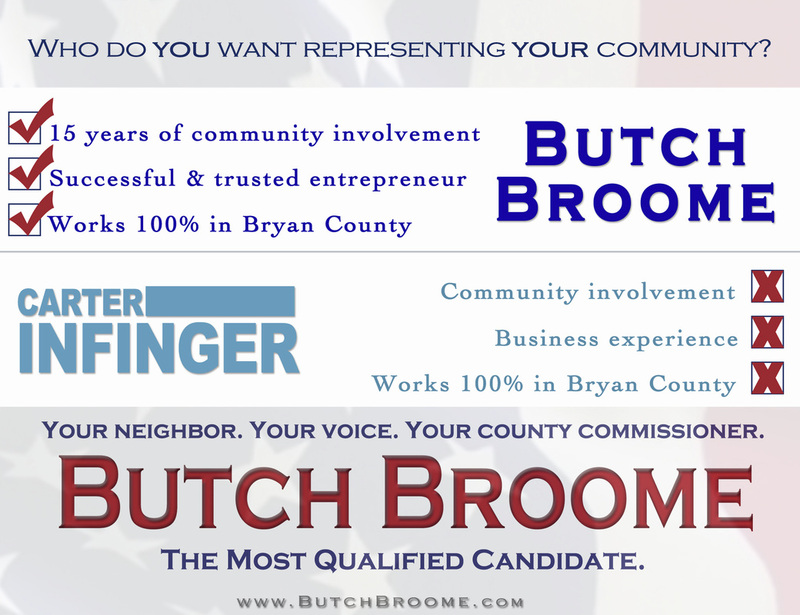 When Butch Broome, successful entrepreneur and father of two, decided he had what it takes to run for Bryan County Commissioner, the business man in him took charge. He knew he needed to get the word out and let his community know why he was the best man for the position. We started with a basic design for signs, key catch phrase and a simple website. We needed to portray that this was a local, hardworking, down to earth man who knew how to get the job done. We chose a genuine, honest tone and patriotic color scheme. 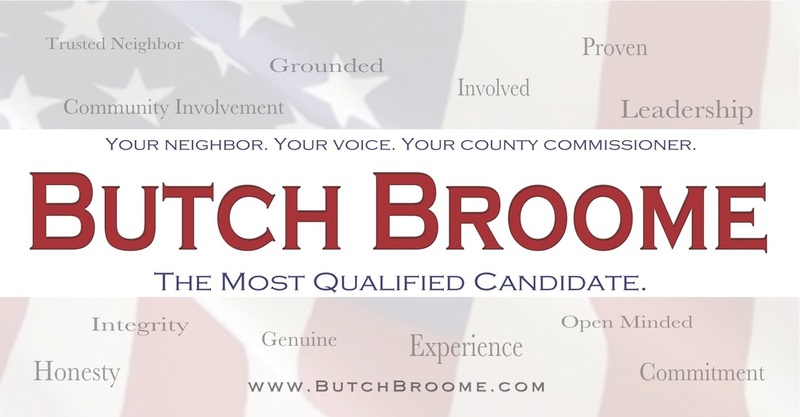 All the of the content on his website and campaign materials maintain our original message- Butch Broome has proven his qualifications and works for what his neighbors want. 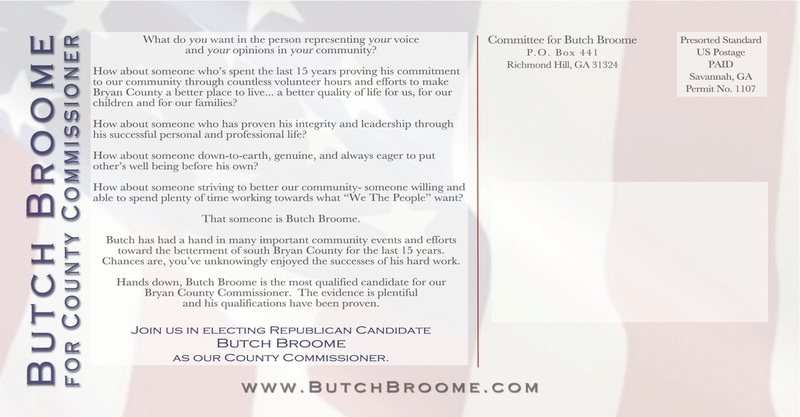 This message and design consistency throughout the campaign only furthers the evidence that Butch Broome is a man of his word.